Some banks have been meeting high standards for many years. Established in 1978, Jordan Islamic Bank (JIB) is recognised to be a pioneer, both locally and globally, as a financial institution that is critically aware of the impact it can have on society. Over the years, JIB has focused increasingly on incorporating sustainability into its operations, resulting in numerous achievements. Somewhat surprisingly, these projects have not come at the cost of profit. JIB recently reported its 2017 financial results, which included a before-tax profit of $114.2m and after-tax profit of $76.4m. The bank’s revenues reached $310m, while profits from joint investment, before distribution of profit to account holders and shareholders, were $270m. The results are a sign that JIB’s way of doing business is paying off both socially and financially. Shihadeh said JIB’s operations focus on three main commitments: to embody the values of Sharia law in its dealings; to serve the interests of all stakeholders; and to offer the latest innovations in banking products and technologies. The fulfilment of these missions has made JIB a global leader in its field. Shihadeh told World Finance: “JIB has 300 banking arrangements with foreign international banks all over the world that accept our terms, such as including no interest in any transactions. JIB is the third-largest bank in Jordan in terms of total assets, and first in terms of Islamic banks.” The bank has experienced significant success: between 2012 and 2016, it achieved the highest return on shareholders’ equity among all of Jordan’s banks. Underpinning all of this is the role social responsibility plays in JIB’s products and services. As one of the leading banks in Jordan in terms of social responsibility and Islamic banking, Shihadeh said ensuring JIB is equipped with a thorough corporate governance structure is a high priority: “There is a social responsibility committee formed by the board of directors, and another one at the executive management level. This is in affirmation of our bank’s attention to social affairs.” The bank’s efforts can also be seen in its certifications. JIB recently obtained ISO 26000, which is based on the International Organisation for Standardisation’s guidelines for social responsibility in the Middle East and North Africa. Furthermore, JIB was awarded the Social Responsibility and Environment 2017 award from the General Council for Islamic Banks and Financial Institutions (CIBAFI) at their inaugural awards ceremony. The bank’s environmental contributions don’t end with the installation of solar panels. For instance, JIB has replaced the lights in its offices with energy-saving LED units, which reduce electricity consumption on a yearly basis by some 35 percent. JIB has also installed a variable refrigerant flow air conditioning system in its offices, which annually uses 25 percent less electricity when compared with other air conditioning systems. This goal has informed JIB’s development of new financial products, which must be clearly explained while also ensuring that consumer protection regulations are in place to guarantee the fair and transparent treatment of customers. 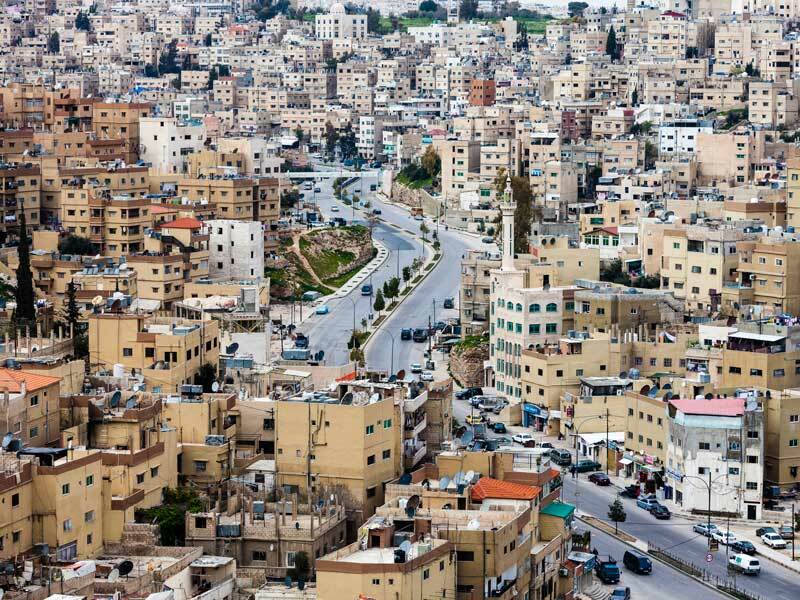 JIB has also circulated information to the members of the Jordan Chamber of Industry and Commerce that outlines the latest banking products and the new agreement JIB has with the Central Bank of Jordan, which provides finance on very concessional terms. Shihadeh has also published several articles regarding financial inclusion in ABJ Magazine, a magazine published by the Association of Banks in Jordan, to explain the possibilities available to young people and women who open a bank account. While social responsibility is commendable, for a bank to be truly successful it needs to focus on its technical capacity as well. Fortunately, JIB is also a leader in this regard and has been able to make significant accomplishments while adopting new systems. “JIB is committed to introducing new technologies and products yearly to achieve the satisfaction of the customers,” Shihadeh said. “These are just some of the ways we try to improve the lives of people in Jordan. We are also committed to strengthening Islamic values in business transactions and tying together the themes of social unity, compassion and solidarity. These goals are obvious in all of JIB’s activities,” Shihadeh explained. There are opportunities for further growth in the renewable energy finance sector too, particularly as more companies and local citizens wish to install renewable energy infrastructure in their buildings and homes. In fact, JIB has already financed many renewable energy projects for local companies, such as the Solar Cell Power Generation Project of the Islamic Charity Centre in the form of Istisna’a. JIB also plans on issuing and trading in Islamic sukuk bonds, while continuing to develop new products for the banking market as they obtain Sharia approval. The world is continuing to develop and change as a more sustainable future comes to fruition. The gradual development of financial tools to fund this future is ongoing, with JIB set to continue to play an important role in this story thanks to its commitment to a vision of a better future.